I registered for my 10th grade classes yesterday. The classes I’m most excited for are probably PE and Co-ed Fitness because I love exercising and playing sports. Another class I’m excited for is Medical Anatomy. I like science and learning about the anatomy of different animals sounds cool. I still need to audition for orchestra but I’m going to get in so I’m excited for that. I got all the classes that I wanted, I didn’t need to pick any alternatives. I’m worried that I might not see my friends as much in 10th grade. Because we have different classes or we won’t have time to hangout because of the amount of homework. I just don’t want relationships to fade I guess. Term 4 could be going better. I just need to finish this school year strong and turn in all my assignments on time. My best class right now it orchestra. I have all my practice minutes in and I participate in class and show up to the trips and concerts. I’m not looking forward to much before the end of the year. Maybe another orchestra concert. Also, My birthday which is on May 14 so still before the end of the year. The class that’s most challenging at the moment is math. I understand the subjects being taught but I procrastinate my homework so I have a bad grade. That’s why I said I need to finish the year strong and stay on top of my work before May. I’m not worried about too much. I take school very laid back and try not to stress too much but I know I need to step it up. I’m going on a road trip with my brother to one of the National or State parks for spring break. Like Bryce or Moab. It will only be a day trip. We’ll spend the afternoon hiking in whatever park we end up in and we’ll be back sometime later that night. We’re going cause it sounds like a fun activity, just me and him hanging out. We both enjoy hiking and not being around parents is a plus. I chose this book because, it’s based on a true story and it also has a historical aspect because it’s set in WWII. I like historical books and it makes it better that it’s a true story. I also thought the front cover was kinda cool and that’s kinda how I found it. Overall I just thought that the book sounded cool and I thought I’d have fun reading it and so far I am. The book I’m reading is The Truth by Jeffery W. Johnston. My book takes place is two different times, the past and the present. In the past the main character, Chris, has just killed a kid for breaking into his home. Chris has been talking to detectives and they tell him that the kid had a gun on him. The court ruled it self defense so Chris wasn’t guilty of murder, but that might not be the truth. In the present, Chris is trapped in a basement. A boy named Derek kidnapped him because he wanted the truth from Chris about what happened the night he shot his little brother. The thing that affects the story is the chapters alternating between past and present. The setting changes my character in many ways. In the present he is very tired, scared, and confused because when he tells Derek what the police told him what happened that’s not enough for Derek. Chris tell Derek everything, re-visiting painful memories of the death of his father, trouble at school, everything. 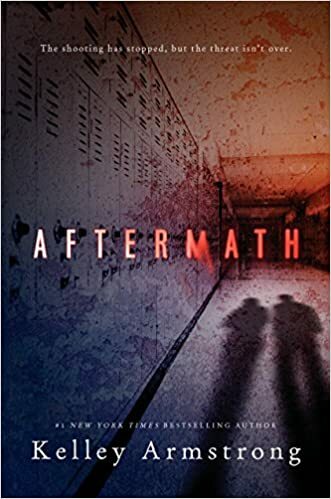 In the past Chris is going to school, taking care of his younger brother, and also worrying about what happened the night he shot the kid who broke into his home. He can’t seem to shake the memory and live on with his life. I’m still at an 11th grade reading level, I feel pretty good about my reading skills and the score I got. The book report this term was pretty easy because I read my book pretty fast, I enjoyed my book up until the ending because I thought is was kinda dull and less exciting than the rest of the book but was still a good happy ending. I don’t really know what I would have changed about my book report, next term I’m going to try to turn it in on the extra credit day but I still don’t know what book I’m going to read for term 4. I don’t really know what I’ll change for term 4 other than trying to get things done on time and not rush an assignment, to make sure it looks good. I’m also going to try to finish my book faster for my book report because my term 3 book report felt rushed. My ordinary world is nothing special, it mainly consists of going to school, doing homework, and hanging out with my friends. School takes up most of my time, mainly practicing my cello takes a lot out of my day because I’m trying to get better. I don’t want to make music my profession though. Sometimes me and my friends play football in a field or in our yards just for fun. I usually play quarterback and my friends noticed that I have a pretty good arm so they’re encouraging me to pursue football. When I actually thought about it I realized, I know a lot about the sport, and I do have a talent for getting the ball to my receiver’s at the right time. That’s my call to adventure. I really do want to pursue football but some of my set backs include school. Me being so busy with orchestra, studying, and homework doesn’t give me very much time to get stronger, working on my foot work, or working on my throwing technique in order to play quarterback. I also don’t know if I want to make it my profession. If I played for the NFL I would play games every Sunday. I go to church every Sunday so I don’t know how football would affect church for me in the future. Maybe i’ll just play during high school and college, even then I don’t know what I would do after college. I’m getting more confident in playing football because I’m starting to get training from former BYU offensive coordinator and quarterback coach Brandon Doman. He played quarterback for the cougars and was drafted to the San Francisco 49ers in 2002. Sense he is very experienced he’s going to help me understand how it really is playing quarterback for a team and different things to help me with my throwing technique so that I might be able to go to the NFL. The highlight of my Christmas break was me and my family going to temple square to see the lights. Other than that I spent time with my family and I hung out with some friends. what grade level this is because it doesn’t say on amazon. My resolution is to be better in school. I’m going to stay on top of my work and get better grades. Another goal of mine is to prepare for a football tryout. I’m going to start lifting weights, practicing my position, and study the sport. I liked “Me” because it says that every person is unique. I don’t see how this poem has anything in common with me or my theme song paper, I just picked it because I liked the message. 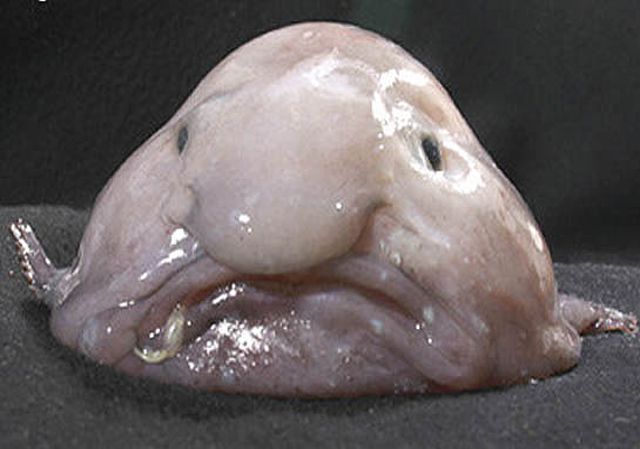 I chose this picture because I couldn’t think of anything else and the Blobfish is the best animal. This term I read Biggie. It didn’t take me very long to finish the book because I would read it at home. I felt like I had enough time to read my book and complete my book report. For next quarter I will stay on top of things and not have any missing assignments. The blog posts were nice because I never had to hand in a paper and worry about loosing it. Nothing about the writing was really hard. Wring the blog posts were really easy and I don’t really want anything to change. It only took me a couple days to complete my book report. My book report was the movie poster and I did it in Photoshop which sped up the process a lot. I wish I could have gotten to print my poster in higher quality. If I had to change anything it would be a spelling error that I made. If I could start the term over I would make sure that I wouldn’t have any assignments and that I could write down important dates. The time of year in Biggie is year round. Biggie is training to play for the high school’s baseball team and tryouts are in a year. Biggie takes one year to train, and loose weight. He manages to not only learn the sport but to go from 317 pounds to 240 pounds and makes the team. Biggie is set in the small baseball loving town of Finch. The town isn’t very fond of Biggie because of one reason, he is not interested in any sport. He has never even held a baseball. The mood varies between chapters. Some chapters are very calm and others you feel anxious when reading because of certain actions Biggie is taking. The climate in Biggie Varies because the book is set year round. Some days it’s hot and others it’s cold. The beginning of the book is set during the summer and as you move towards the middle it gets colder, and at the end it starts to warm up but it’s still cold.